Longtime grower Peg Schafer is leading the movement for the transition to organic, domestic cultivation of Chinese herbs. Due to raised concerns about the quality of imported products, and a renewed interest in locally sourced medicine, domestic and ecologically grown herbs are increasingly in demand. But until now, there has been little information available to growers. 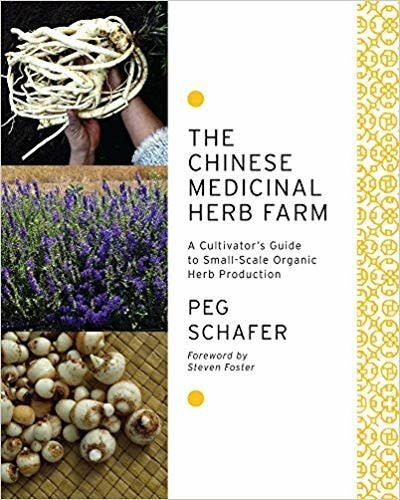 The Chinese Medicinal Herb Farm is the first guide of its kind, complete with cultivation and harvest tips for seventy-nine herb profiles - all tested and trialed on Schafer's certified organic farm. Readers will find information on growing efficacious, wild-simulated herbs; crop-integration strategies for gardens; cultivating with an eye toward species conservation; traditional medicinal and culinary uses; and more.